I am not a black man. I didn't come of age in the 80s with Hip Hop as my personal soundtrack. 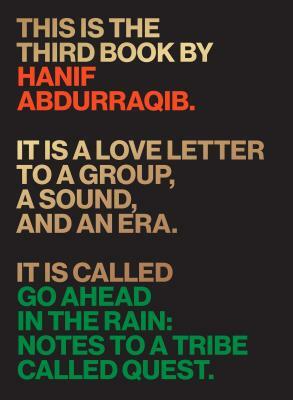 But I was absolutely captivated by Hanif Abdurraquib's memoir in the form of a tribute "album," paying homage to the rocket-to-fame brilliance of the forces behind A Tribe Called Quest. Gorgeously written, deeply considered, this deceivingly brief book threads biography, memoir, and social commentary into a perfect and satisfying read.